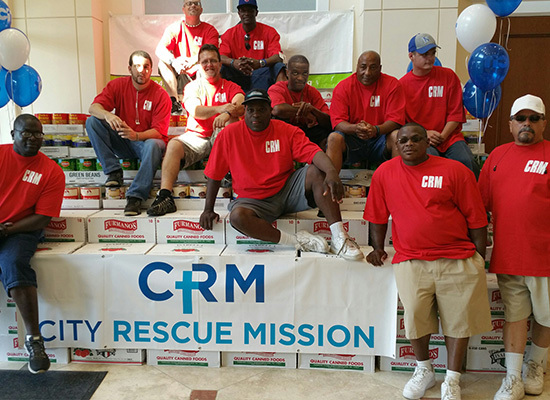 Volunteering support is vital to the transforming work of the City Rescue Mission. 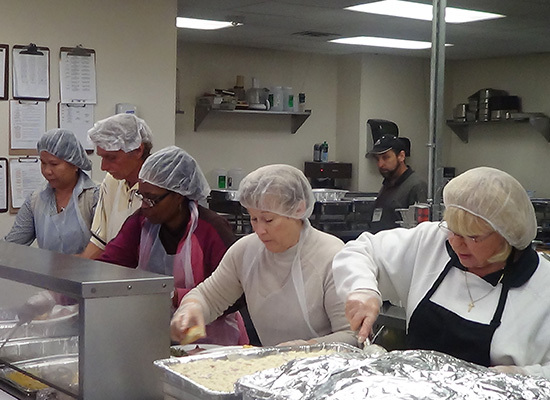 Group volunteer opportunities can include serving a meal, sorting donations at the CRM Thrift Store, or special projects. If your group has a budget for supplies, projects such as painting, gardening and light construction (for example, building shelves) are available. One adult representative from your group must complete the volunteer application and orientation. For every 4 children under the age of 18 a chaperone is required at all times. Supper Club/Meal Service Volunteering Projects. As a participant of our Supper Club, your group chooses from our menu, pays for the meal, and provides volunteers to prepare, cook and serve the meal, fellowship with CRM’s guests and cleans up following the meal. Please complete the form to become a volunteer. General Description: Design and financially sponsor a room or house to remodel. Room adoptions include paint, bedding for two twin beds, room accessories and décor. Paint colors to be approved by Manager of Women’s Services. General Description: Collect items on behalf of the City Rescue Mission, Bins are available for pick up. Needed items include hygiene items, new socks, new undergarments, canned food, spices, etc. Monday – Friday 4:30 pm-6:00 pm; Plus 2 – 3 hours prep-time. Qualifications: Must be a representative of a Bible believing church. Pastor must register the church for this opportunity. Time Requirements: Monday – Friday at 6pm at both New Life Inn and McDuff locations. General Description: Praise and worship and devotional message for men or women.